So, I would be lying if I said that I don’t have a backlog. I do have a backlog and it’s rather huge. To be honest, I stopped keeping a list of the games that are on my backlog and I just started playing the games that I wanted to play or that are in my collection. If I have to guess, I think there are over 500 games in my backlog. Do I honestly care that there so much games in my backlog? Not at all, I love it! Because that means I always have a game that I could be playing when I’m feeling bored. And for those who don’t know why I have so many games on my backlog, that’s because I’m a game collector and I collect games left and right. Almost every week or two, I add a game to my collection so I rarely have time to finish a game. Now, why am I talking about this? Because LaterLevels and LightingEllen are doing a collaboration with a lot of other bloggers talking about their backlogs and I felt like joining in. And before I continue, feel free to leave a comment with your opinion on the backlog, your backlog and/or the content of this article. Now, in my introduction I said that I had given up on keeping a backlog. This is quite true. I have piles and piles of games in my room and in my digital libraries begging to be played. Yet, I keep playing the same games over and over again. But are there really over 500 games on my backlog? Well, because I don’t keep track in that much depth, I think that’s the best answer. When I just look at my 800 games large Steam library and cross off all the games I have finished, I think we get close to that 500 games mark. And at that moment, I haven’t started counting all the games I have for my consoles and handhelds. How did it grow so out of hand? The first reason I already explained in the introduction of this article. I’m a game collector. Every one or two weeks, a game gets added to my collection. And it’s quite rare that I buy one single game now-a-days. Apart from newly released games of course. When I’m looking for new games to play, I go to thrift stores or garage sales to buy them for a real cheap price. In other cases, coworkers, friends, family just give them to me because they don’t need those games anymore since they are left unplayed. A second reason is one that you are reading right now. This very blog. Because I like writing so much, I try to write an article every week about a different game. So, that means I talk about give or take 50 games each year. A more realistic number would be 35 – 40 different games each year. So, when I have written an article on a game, I have already moved on to another game to write about. Even when I quite enjoy playing a game, I place it on my backlog to finish later when I have a bit more time. Oh, and let’s not forget the fact that I get requests from developers to play their games and write an article about them. A fourth reason is one that started during my teenage years and now carried over in my twenties. I dislike focusing on one or two games. For example, I’m playing Resident Evil 4 and I get frustrated because I’m unable to beat a certain section. Instead of getting frustrated and fed up with the game, I just stop playing the game and take out another game to play. The main reason I play games are to have fun and talking out of experience, my performance in games gets worse when I have to repeat a section over and over again. Now, it does happen from time to time that one game is so much fun, I ignore all other games for a while. During the last Christmas holiday I have played so much Rollercoaster Tycoon. To the point I have almost completed the original campaign and half of the campaigns in the expansion packs. Now, what is your backlog actually? Are these the games that you have started and never finished or the games you really want to play? Is it a combination of both? Well, I think it’s a combination of both those things. But, can you scrap a game from your backlog? When it has been too long on your backlog or when you feel you don’t want to beat it? For example, I have never beaten the original Pokémon games BUT I have gotten extremely close. It’s the final rival fight that I’m unable to beat. Now, would you say that these games are on my backlog until I have beaten them completely? Well, now I’m totally overthinking it. Whoops. I might have said it a few times already in this article but do I honestly care that my backlog is so long? No! I don’t care at all. The big advantage of this is that I can pick up a console or boot up my PC and just pick a game I feel like playing and have a great time. It also means that I always have a game to play when I’m in a certain mood. On top of that, it makes for a great reason to finish or replay games when I want to write an article about them. Now, LaterLevels and LightningEllen have a few questions in this collaboration. Let get to answering them. That’s a thought question. Since in most cases, there is always a time I pick up a game I have bought ages ago. For example, a few years ago, I added Final Fantasy X and X-2 to my collection and I started to play those two games for a short while during my summer holiday in 2017. Another example is more recent. When I started playing Resident Evil 4, I saw that I have a few other Resident Evil games in my collection so I’m trying those out in between Resident Evil 4 sessions. If I really need to answer this question, I think it are the Football Manager games I got in a pick-up but then again, I might start playing them in a summer break when I want to play something unique and different that I haven’t played before. I could cheat and tell talk about Lego Fever. It’s a game I played a lot when I was younger, but it refuses to work on newer systems. Plus, it’s quite rare to find, since there are no physical copies of and yeah. In addition to that, I have technical issues with getting the game to run on my computers so it’s unplayable for now. But then again, I just need to take some time out of my day to figure out what’s causing the error and just try to get it working on one of my retro gaming machines. Oh well, one day this will happen. I don’t understand why this keeps happening. I have bought all the DLC cases and I haven’t finished the DLC case yet. I’m such a big fan of the Ace Attorney series, it battles my mind that I just start playing this case and get distracted by other games and leave this one on the backlog. The case sounds quite interesting to me as well, since it does something different and makes old characters return. Maybe it’s a great sign for the future of the series… (hint hint, subject of another collab). So, come on Jonez! Put aside an afternoon during the weekend and finish this game! Ehrm, I’m sorry… But I’m not going to list all these games I just played the first couple of sections to test out how the game plays and haven’t finished yet. If you just look at the first impressions series on my blog, you start to get an idea on how many games I haven’t fully beaten yet. Now, I have beaten some of these titles, but I haven’t gotten around to writing the review yet. So, you could say that I even have a review backlog. But, if I really have to put a game here… Let’s pick one at random and let’s say… PopoloCrois. A while back, I said I was considering writing an article about this game. But, my PSP decided to delete all my save files of this game and I lost so much progress… I got so annoyed I actually stopped playing this game and I haven’t picked it up yet again. But, I was having so much fun. So, yeah. I need to change that. Oh dear. I’m honestly unable to answer this question because I collect retro games and I just play games I find in the wild or strike my fancy while browsing the eShops. Like I said earlier, some games I only play for a few minutes to test the games out. For example, I have started up so many Final Fantasy and Kingdom Hearts games… I know for a fact that some people are going to dislike what I’m going to say next but I haven’t finished a Final Fantasy, Kingdom Hearts, Witcher, Metal Gear, The Elder Scrolls, Dragon Quest, Sonic, Mega Man, Castlevania, Metroid, GTA, Assassin’s Creed … game. Yes. I haven’t played a lot of the BIG and popular titles. In addition to that, since I started reviewing games 8 years ago, I stopped keeping track of the games on my backlog and just enjoy the games in my collection and picking the game that suits my fancy at that moment so I can’t even tell for how long I own a certain game. Expect when I got it for as a birthday present or when it holds a special memory. So, I’m sorry, I’m unable to answer this question. Would it be cheap to say, my wallet? Because I buy so many games in bulk, it happens frequently that games get on my backlog. Now, actual answer on this question should be the person who gives me tells me about the games I should be playing or the games that are interesting. And to be honest, there are a lot of people who give me advice or suggestions in terms of the games I should play. From fellow bloggers to YouTubers I love watching. A few examples spring to mind: NitroRad, AVGN (yes, like a TON of other video game reviewers), SomeOneCallMeJhonny, Eruption, Scott The Woz and Lazy Game Reviews. There are a lot of retro video game reviewers out there and I just keep watching them to discover new games. Outside of the YouTube space, there are bloggers like: Hundstrasse, The Well Red Mage and Insert Disk. There are so many people I could name. And I shouldn’t forget the countless other collectors inside the Facebook and Discord groups I’m a part of. Besides that I love browsing RetroWareTV and browsing websites like eBay and local second hand websites to check what they have on offer. So yes, I don’t have one person that is responsible for adding the most entries to my backlog since a lot of people give me ideas, suggestions and series to look into. It’s extremely difficult to keep track off that. Oh, and I shouldn’t forget that I often get coworkers, friends and family that donate or just give me games after a spring cleaning or something amongst those lines. With all the questions answered, I want to thank you so much for reading this article. It was an interesting article to write since I see my backlog in a totally different way than your typical definition of the word. To me, my backlog is more of a suggestions log. A suggestions log of games I could play and/or take a look at. If the game interests me enough, I’m going to continue to play it. If it doesn’t interest me, I remember it to try it out later or I just give it a nice spot in my collection. Now, surprisingly, even to me sometimes, but not every game that I play becomes an article. That’s because I have an article backlog and when I write an article about a game, it’s quite possible that I already forgot about a few games. But all of that is for another article. With that said, I want to thank you again for reading this article and I hope you enjoyed reading this article as much as I enjoyed writing it. I hope to be able to welcome you in another article but until then, have a great rest of your day and take care. This entry was posted in Articles and tagged 001, 3DS, ace, adding, adventure, alter, android, arpegi, attorney, avoid, backlog, blog, buttonsmashers, collector, conquer, ellen, eshop, game, gameplay, gaming, hand, holiday, how, impression, information, jea, Jonez, jonez001, jonezjea, later, levels, lighiningellen, lightning, log, love, neko, NekoJonez, Nintendo, person, playstation, Preview, Second, sony, store, suggestion, summer, thrift, To, up, vacation, walkthrough, week, wrapping, your on February 17, 2019 by NekoJonez. Basically, it’s a writing competition between bloggers we are doing for fun. I could explain everything in detail, but the organizer has written a very long blog post about it. In this post, you can find all other bloggers who are in this competition. So, feel free to read this post if you want more information. Basically, the goal of this round is to convince you and the judges that a certain iconic item of the character can be mass produced and sell the best. For example, Minecraft Steve can mass produce diamond tools and sell them at a high price. So, may the best argument win! Dr. Henry Indiana Jones Jr. got a special phone call after he finished his classes at the Marshall College. It was his other boss, the one with the big ears and the big white gloves. The conversation was brief, but it made Indiana nervous. He had to go to his office and pitch something new to convince him to not go for another project. He thought about it for a while and after he created a prototype, he went to the office of his boss. When he was walking towards the office, a young girl with long pink hair walked outside. Then he realized, the other pitch was for Kingdom Hearts. He got even more nervous. There was only room for one more project and he wanted that spot. Indiana’s plan was simple, to sell new merchandise to attract new fans and try to ease the pain of the disappointed fans that saw the Kingdom of the Crystal Skull movie. He had to make and present something good, otherwise, the release of the new movie in July 2020 might be a flop and that would mean possibly the end of his franchise. After the young girl left the hallway, he knocked on the door. He knocked a few times in rapid succession. It didn’t take long before he could enter the office. But, this time, Indiana wasn’t alone with the mouse in the office, his wife was sitting in the office as well. Indiana didn’t hesitate and started his pitch. He started to talk about how the merch sales are declining and they needed to come out with a new item so that they could hype up the 5th big movie. Indiana’s plan was simple. He wanted to make a new line of costume sets. This would serve several purposes. It would be very handy for people that want to cosplay, act in theaters, make fan movies, collectors and so on and so forth. The mouse was happy to see something that iconic being pitched in front of him. Yet, Indiana wasn’t done with his pitch. There was another layer to his idea. Since he was nearing his retirement, he also wanted to sell the costume set to create a great competition for his replacement actor. Since, that would make it easier to set up some sort of show, “Who will be the next Indiana?”. The costume set would have everything, the fedora, shirt, jacket, pants, satchel and a prop gun and prop whip. Indiana didn’t want to limit it, so he created a female prototype. This made the wife of the mouse happy. She found it very cute and fell a bit in love with the design. She tried it on and she was convinced of the pitch. In her eyes, Indiana won. But the mouse, he had to speak to the judges. Since he wasn’t sure who had the best pitch. He both liked the pitch of the pink haired girl and Indiana. So, what now. What now? So, that was my argument. To prepare myself for this, I replayed various Indiana Jones games and rewatched all movies I owned. Also, I wanted to present my argument in a way how I love to write, in a story. I highly recommend you read the argument made by Lightning Ellen and decide for yourself who won. But, who will go to the 2nd round? Well, as I said earlier in this article, the jury will decide that and it will be announced on August the 4th. You can find the links for that earlier in the article. As a little side note, for those who didn’t get it; I wrote about this event. Obviously, I took some creative freedom to fit it into a story only about Indiana Jones. This story has no ill intent to anybody or any company. So, I want to close off this article with thanking you for reading this article and I hope you enjoyed reading this article as much as I enjoyed writing it. I hope to be able to welcome you in another article, but until then take care and have a great rest of your day. This entry was posted in Articles, Collabs, Personal, Stories and tagged and, argument, arpegi, battle, Between, Blitz, blogger, bloggers, disney, ellen, emperors, farron, first, in, indiana, infernal, information, jea, jones, Jonez, jonez001, jonezjea, july, lightning, machine, mass, more, movie, neko, NekoJonez, new, produce, retail, round, rumble, selling, sponsiring, The, To, Tomb on July 31, 2017 by NekoJonez. July is almost over, and I have a lot of updates to share with you. I decided to combine them in one article, so without any further ado, here we go. You might have noticed it already, but a month ago, I decided to rebrand my blog. I didn’t make the new artwork and icon myself since I’m honestly not good with programs like Photoshop and other art programs. I can do some really basic editing, but that’s about it. Thankfully a friend of mine helped me out. Thanks to Zoef, we got a new amazing looking banner and icon. I can’t thank him enough since it looks amazing. It shows perfectly what my blog is about and that was exactly what I was going for. In the past month, I have tried to look for every place that had my old artwork and changed it. I think I changed everything, but when I noticed that something has my old icon, I’ll change it as soon as I can. So, something special happened. 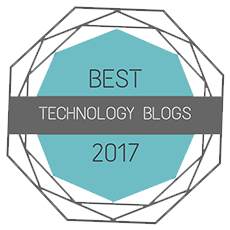 Last week, I got an email from Market Inspector that I was nominated for “Best Technology Blog of 2017”. I was really happy when I received it. So, I answered their questions to get my nomination in for real. A week later, I was working on another article while I heard the notification sound on my phone. It was an email from Market Inspector, saying that I actually won in the gaming category. Here is a link to their article announcing the winners. I’m honored to receive this award. I feel recognized for all the time I have put into this blog. So, thank you Market Inspector for this award! First of all, one of my biggest projects yet I have teased on Twitter is finally here. I finished “My favorite gaming music #20“. While the writing was done for a while, I wanted each game to have a separate article with a sort of review for each game. Then I noticed that 5-6 games didn’t have its own article. So, that’s why it took so long, I had to write a couple of other articles before I was able to finish the gaming music article. Another big project that is currently in the works is a big Zelda project. It’s going to be a project that I’m not doing alone. Currently, we are aiming to finish the article at the end of August. If anything changes, I’ll announce it on Twitter of course. In other news, I decided to not list all articles I get quoted in, in an update article on my blog. So, if you want to know when I helped writing in an article on another blog, you should really follow me on Twitter. Otherwise, you might miss one of the vacation spots I would take in gaming. By now, you might be wondering what the image is I added a bit above this paragraph. Well, I’m a part of the Blogger Blitz event that Adventure Rules created. This is a “battle” between bloggers to try in convince you why a chosen game character is better than another character. But here is the catch, each blogger had to choose his or her own character. I picked Indiana Jones. More information about the event can be read on the Adventure Rules blog. On the 31st July, I’ll try to convince you why Indiana Jones is the better in mass producing and selling a certain iconic item than Lightning Farron. The blogger I’m up against is Lightning Ellen. Good luck and may the best writer win! Believe it or not, I created a sort of schedule for the 2nd part of 2017. Currently, it’s just a rough planning of the articles I want to write in 2017. Notice that I said, rough planning. That means I can still move around my schedule and/or change it completely. As usual, I won’t share the schedule. I want to keep it a surprise to everyone and I also change so frequently in my schedule, I would go crazy writing an update article or change it every time I make a change. The only thing I’m going to reveal is that my schedule is filled with game-related articles. I mean with that, first impressions and reviews. Also, I decided to keep my 1 article/week schedule. Yet, when I’m able to write more than one article a week and I’m in the writing mood, I won’t stop myself. But, starting from September, that might be impossible to write more than once a week. Since then evening classes start up again and I have a few things going on with my acting group. For this week, I’m still planning a few articles. If I have the time, I might even publish more than 2 articles this week. But, that all depends if I have the time. So, no promises. So, that’s why I decided to write a review about the game. So, I’m going to try to finish that article before the end of August! So, keep your eyes out for that. Thank you to the developer of this game for quoting me on Steam. This means a lot to me. So, that are all the updates I wanted to share for this month. The past few months were quite eventful for my blog and my personal life and I’m enjoying all of it. I hope you enjoyed reading this update article as much as I enjoyed writing this. Thank you for reading this article and I hope to be able to welcome you in another article but until then, have a great rest of your day and take care. This entry was posted in Articles, Personal and tagged 001, 2017, adventure, Apregi, article, award, best, Blitz, blog, blogger, by, ellen, farron, feedspot, for, gaming, icons, information, inspector, introduction, jea, Jonez, jonez001, jonezjea, last, lightning, made, market, more, neko, NekoJonez, Of, on, quoted, rebranding, rules, schedule, small, steam, technology, The, top, tree, twitter, won, zoef on July 25, 2017 by NekoJonez.